Stephani is using Smore newsletters to spread the word online. "Don't Cry Over Cold Tea", the first episode of the podcast series HUSH, was performed in front of a full house at the Water Street Inn in Stillwater, Minnesota on July 28th to an enthusiastic response. Written, produced and performed by secondary students, the radio play then aired August 6th on Voices in the Valley on KLBB 1220. Future episodes will be broadcast the first Saturday of every month at 10 AM on Voices in the Valley before being uploaded as a podcast. Email steph@theshireonline.com to sign up to receive future episodes and outtakes as they are released. Explore by googling #HUSHpodcast. "Don't Cry Over Cold Tea" is an original production of The Shire's Audio Drama Team. Script, theme song, musical transitions and sound effects are the creative product of students in grades six through twelve from both sides of the St. Croix River Valley. It's the beginning of what we dream will become something big. Click Here to Listen to "Don't Cry Over Cold Tea"
A voice in fifteen-year-old Andromeda's head just won't shut up, and it becomes stronger after she discovers her grandmother is missing. An ornery cat, an annoying canary, well meaning but clueless adults, friends who want to help and a peer who would rather be grumpy than useful create a headache inducing day for a girl who just wants to find her grandma. 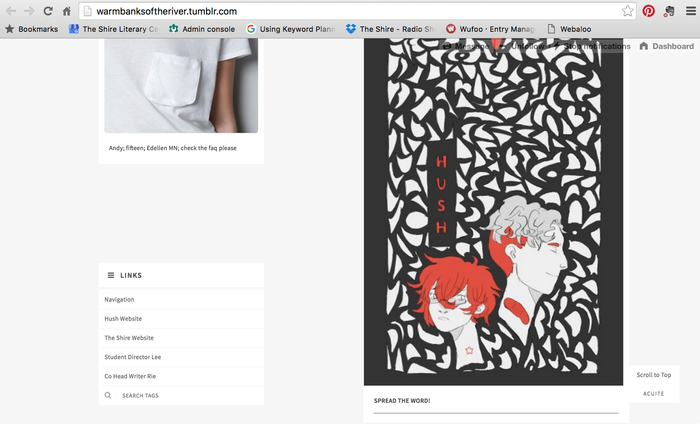 It's all about being multi-platform here on the series of HUSH. "Don't Cry Over Cold Tea" is the first episode of an ongoing podcast series aired once a month on Voices in the Valley (Saturday mornings at 10:00 on KLBB 1220) before being uploaded to iTunes and Sound Cloud. Keep on top of what's happening with the show at www.theshireonline.com/radio_play, or stay in-the-know by participating in HUSH's social media. What happened to Violet? We don't know. Receive clues and other teasers by entering our social media stream. 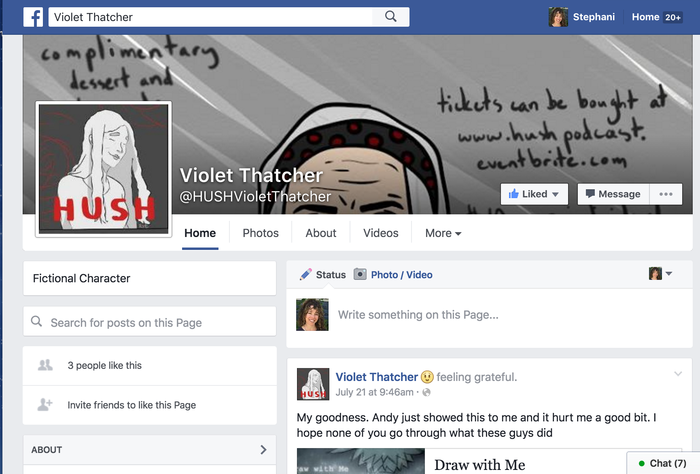 Find Violet Thatcher on Facebook, follow Andy on Tumblr at warmbanksoftheriver, check out Ben on Instagram at the_benster_official or subscribe to #HUSHpodcast on YouTube. Who knows, maybe the four friends will even get into a game of Pokemon Go? But, wait - if Violet is missing, how can she be posting on Facebook? Well, that is a mystery. You can find Andy at thewarmbanksoftheriver on Tumblr - a quiet, more meditative spot. Violet has a lot to say, much to her granddaughter Andy's dismay. Follow her on Facebook. Ah, the Benster. He knows how to entertain. 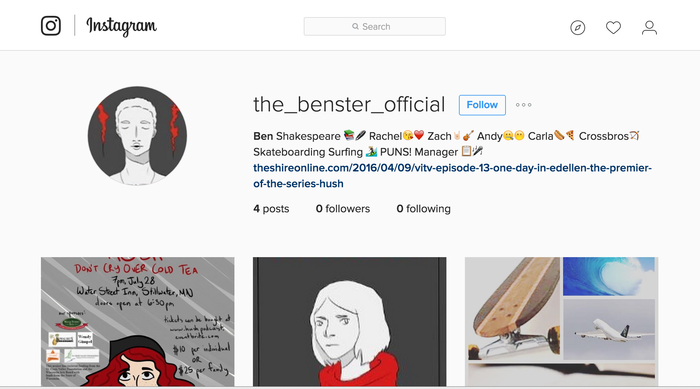 Check out his Instagram at the_benster_official. This project received funding from the St. Croix Valley Foundation and the Wisconsin Arts Board with funds from the State of Wisconsin. 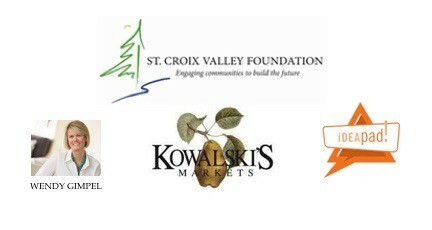 Thanks to Kowalski's Markets and real estate consultant Wendy Gimpel for their sponsorship, to the Water Street Inn for their hospitality, and to The IdeaPad for sharing with us an amazing creative space. Special thanks as well to the Stillwater Lion's Club and Spice & Tea Co. for their support. 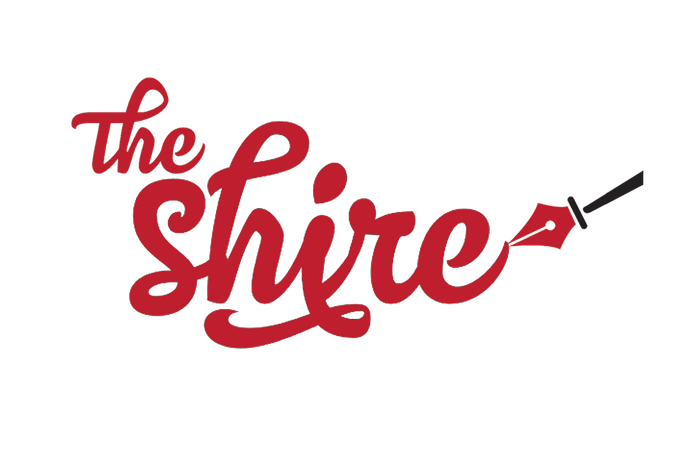 The Shire offers a place for students who love storytelling to gather both online and off to take creative writing classes, join writing clubs and step into leadership positions that support each other's artistic goals. We seek to nurture the creative spirit and interconnect youth to each other, not just in Stillwater, but also all over the world!